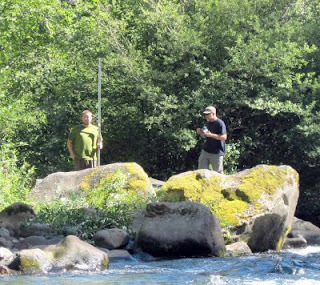 A frequent field research partner and friend of the 'squatch, Matt Pruitt, has recently dipped his toes into the hot tub that is the bigfoot blogosphere. Matt is a very intelligent man who has been investigating sasquatch reports and conducting field research for many years. I have personally spent numerous nights with him in the woods over the last several years, and I find him to be one of the best in the field today. All that, and the guy can write well, too. Matt has opened his blog with several interesting posts. One post comments on his ongoing experiments to photograph a bigfoot using Reconyx trail cameras. Another post, which is particularly interesting to me, is entitled, "Do Established Habituation Scenarios Exist, Waiting to be Documented?" He suggests that they do. I agree. I strongly suggest any serious field researcher to start reading Matt Pruitt's blog. 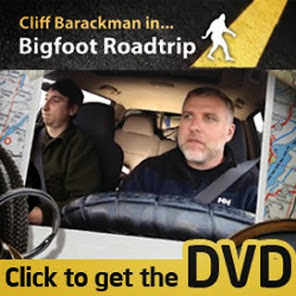 I suspect it will prove to be an important resource for bigfooters as it grows and develops, and Matt's level-headed and methodical approach is one to be emulated by both newbies and seasoned veterans alike.